Extravagant palaces, colourful bazaars and the city’s rich Mughal heritage are just some of the reasons why Rajasthan’s a popular heritage vacay destination. 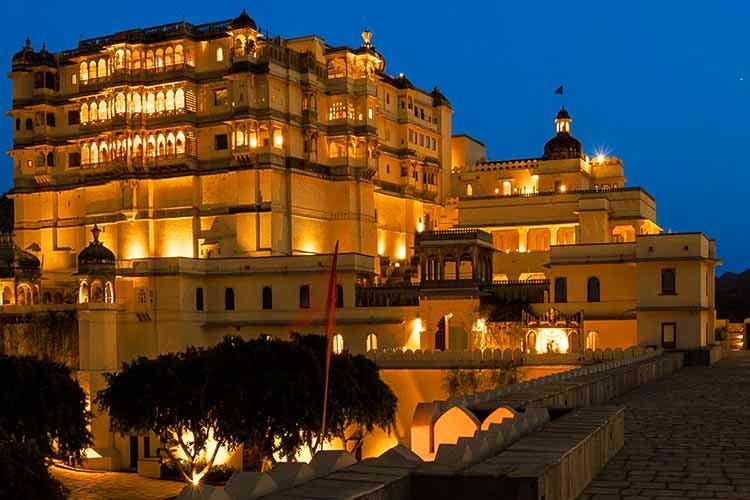 So, for the time when you plan a long overdue weekend getaway to this royal city, RARE India has rounded up some of the most exotic hotels for you to stay at. Considering Rajasthan’s close proximity to Delhi, you need to pack your bags and go, go, go. The charm of Narain Niwas Palace is the estate it stands on, a virtual ten-acre grove in the middle of Jaipur city. Walking up the wide driveway of the palace, one can see the Haveli which is a typical marriage of Indian and British building styles – arches, courtyards, verandahs and bold fresco design summing up a building that many of the Jaipur havelis still try to emulate. Narain Niwas offers 37 rooms and suites, has a swimming pool, spa, two restaurants, a bar and a shopping arcade too. Narain Niwas is noted for its fresh and delightful cuisine which is a combination of recipes from Rajasthan and northern India. A private fort perched on a hill, Ramathra Fort overlooks miles of serene country, farms and a large perennial lake. A two-hour drive from Ranthambor, Ramathra offers six custom-designed tents set by the fort ramparts and six charming suites in the palace. Around Ramathra are some of the best walking trails in the region where you can enjoy birding too. The region also has great potential for off-road cycling. Dinner time is very special in Ramathra serving home cooked recipes under a night sky – silent, starry and blue. A tree bedecked estate with myriad birds in residence, Shahpura Bagh offers nine suites set in 40 acres of nature in two restored bungalows and a generous pool with decks. The Shahpura Bagh experience is that of a boutique mansion stay, offering opportunities like farm visits, interactions with phad artists, sunsets at Dhikola fort, tribal village safaris, photo-ops in Shapura town. In western Rajasthan’s Pali district, Jawai and Bera surrounds one of the largest dams of the state. It is the efforts of Shatrunjay, Bera Safari Lodges’ owner and a few conversationalists who crusaded to stop mining grants to protect the landscape and thus, the Leopards. Simplistic, comfortable and spacious – the cottages are spread over a ten-acre estate, each of the five cottages are designed to look out to the forests and the famous Liloda hill. Shatrunjay organises all the activities that the lodge offers, in tune with the Bera’s ideal of preserving the wild and empowering the community. Just four suites tucked away in the Aravalli ranges is Mountbatten Lodge inspired by a local lore that Lord Mountbatten once camped here. Built to reflect the British penchant for wilderness with no compromise on luxury, this lodge offers open spaces, stylishly laid out dinners with staff in attendance that brings to fore a sense of the days of the Raj. The Lodge offers riding, sunset safaris, leopard tracking and treks to Kumbhalgarh but it is the Jazz sessions at the bar that you will come back for more. Devigarh entered the hospitality scene like a breath of fresh air, bringing into the realm of heritage a new kind of design sensibility and a very high level of service. Today under RAAS, already running the very atmospheric design hotel in the walled city of Jodhpur, Raas Devigarh offers an unparalleled luxury destination experience. 39 suites within the spectacular fort complex of Devigarh, courtyards and gardens welcome travellers who can enjoy a rejuvenating luxury stay surrounded by farms and beautiful countryside.